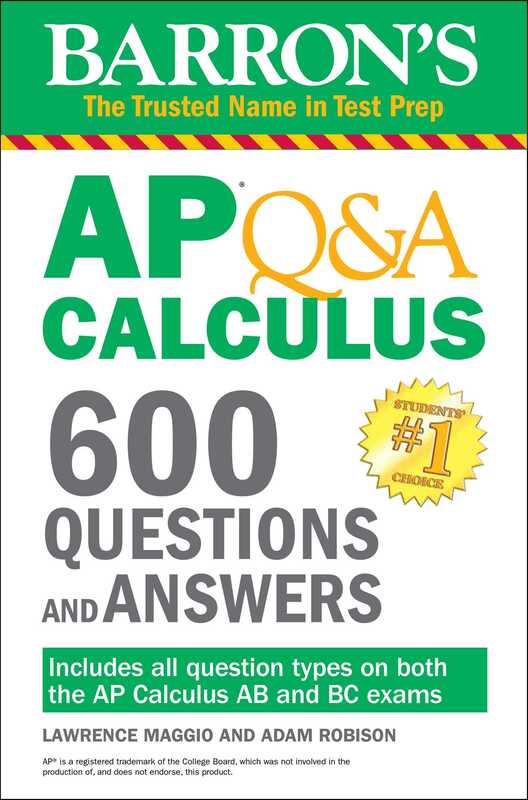 Ideal for students who want lots of practice, Barron's new AP Q&A Calculus features 600 questions with detailed answer explanations for all question types on the exam. With comprehensive explanations for all questions, students won't just learn why an answer is correct—they'll learn the rationale behind why each other answer choice is incorrect. Barron’s AP Q&A test prep guide is designed specifically to help hone students' critical thinking skills, provide practice for all of the AP-style question types, and maximize understanding of concepts. Looking for content review in addition to practice? Try Barron's AP Calculus, which features detailed content review, expert tips, and full-length practice tests.